I just love that name. I want to introduce you to Pamela's blog. husband and son and some pets. She is a huge animal lover. I wouldn't mind living at such a beautiful place. 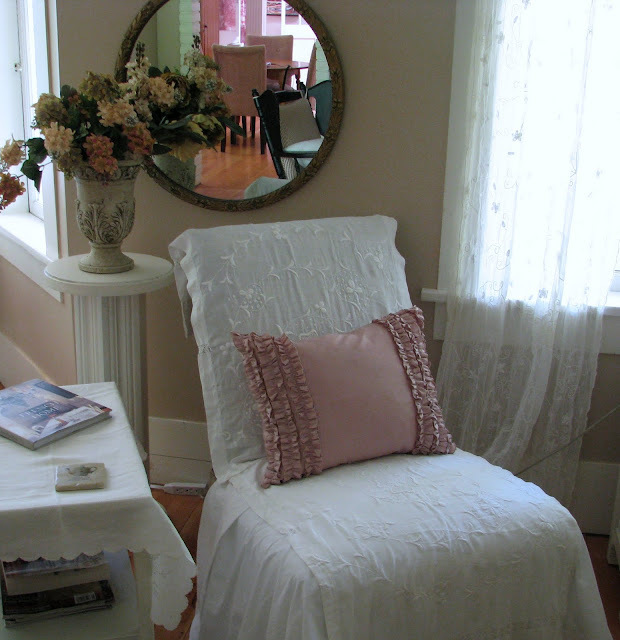 Her home is just gorgeous and full of eye candy. 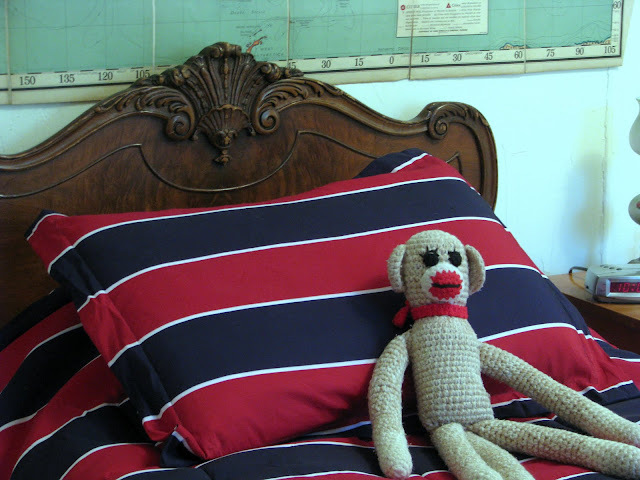 This is her son's cute room. 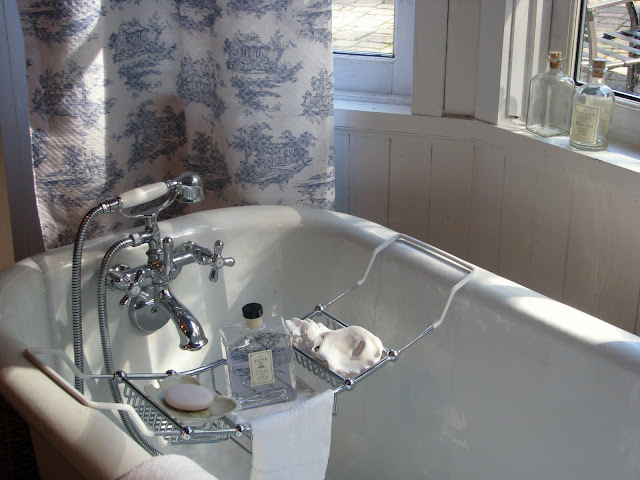 I would love to soak in this tub. Gorgeous! She shares recipes, too such as this home made pizza. She also loves color. She has a wonderful collection of vintage linens. This is just a few. 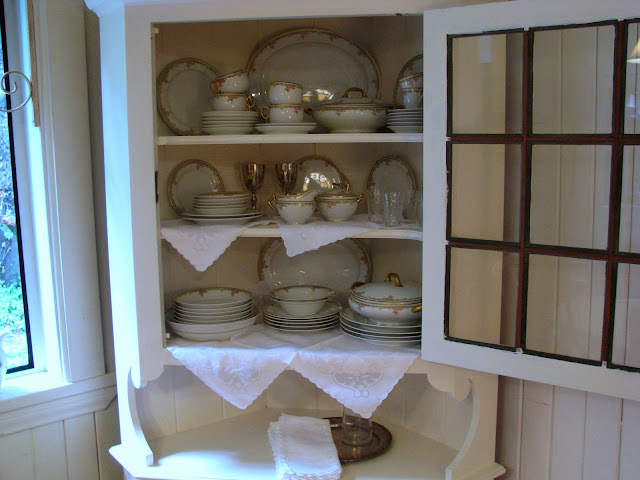 This is her red French kitchen. You know I love me some red. Hey, Pamela, are you taking reservations?! anything French so it just fit. lovely green pictures of where she lives. I got tickled at her the other day when I told her she should turn off the word verification on her comments. She said she has been cursing others for having it on and didn't know she had it on herself. I hope you will pop over and say hi to Pamela. She loves visitors. She has always left me such nice comments and has become a blog friend. Thanks Pamela for letting me feature your blog. Loves her style...hopping on over now Kim. Nothing prettier in the morning with a cup of coffee than red cabinets! Going over now. Thanks for the introduction to what looks and sounds like a great blog! That last photo is a beauty! Love her blog! Thanks for the introduction! I'll have to have a look because I think she lives just 'up the road'. Pamela's blog is just fantastic and I love her home! She has great taste! Thanks for featuring her! Oh to have a view like that. Her home looks well loved with all of its special touches, just like you Kim,I can tell how much you love your home. I, too, follow Pamela on a regular basis. She has such a beautiful blog. 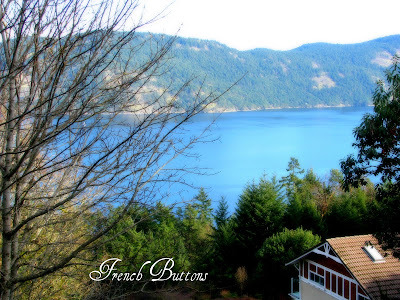 I have visited here part of the world often as we used to live in the San Juan Islands. She truly does live in a magical spot. Sounds lovely. 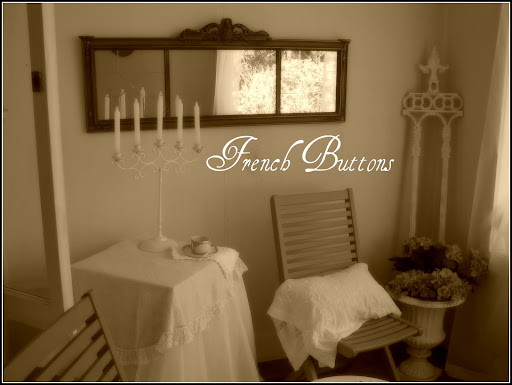 I'm on my way to visit French Buttons now. Thanks for the directions! Thanks for introducing me to Pamela, her style is beautiful! Sure is beautiful there! Thanks for sharing her blog with us, Kim! Hi Kimmie! OH, thank you for introducing Pamela to us! I'm popping over now. Thanks Kim for this intro...I am heading over now to check it out. 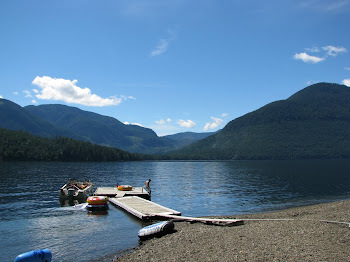 I vacationed on Vancouver Island a couple of years ago, we went with no reservations - just what the locals told us to see and do...they are beautiful people. It is a magical place! Love her style! Can't wait to go check out her blog. Thanks for sharing. Thank you so much for the feature Kim!! I am truly flattered to be showcased on your gorgeous blog. Now I trying to keep up with all the comments!!! Gorgeous home and the scenery is to die for, so sweet of you to feature her! I've been following Pamela's blog for about a year now and I love it. I adore her house and she lives in one of the prettiest parts of the country. 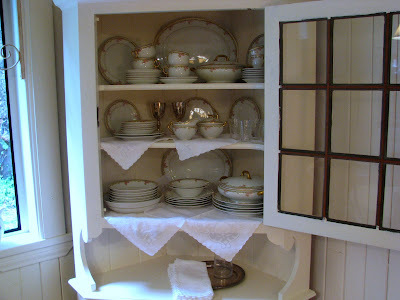 I love Pamela and her blog and of course her red kitchen! Thank goodness she figured out the word verification, because I've been trying to get up the nerve to mention it to her. I guess us "red" girls are just along the same wavelength, Kim! She has a very pretty style! I love her outdoor photos too. 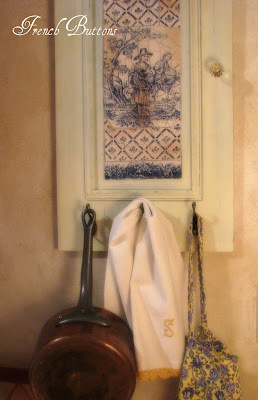 I love that dish towel and apron hanger made out of a door. How cute is that? 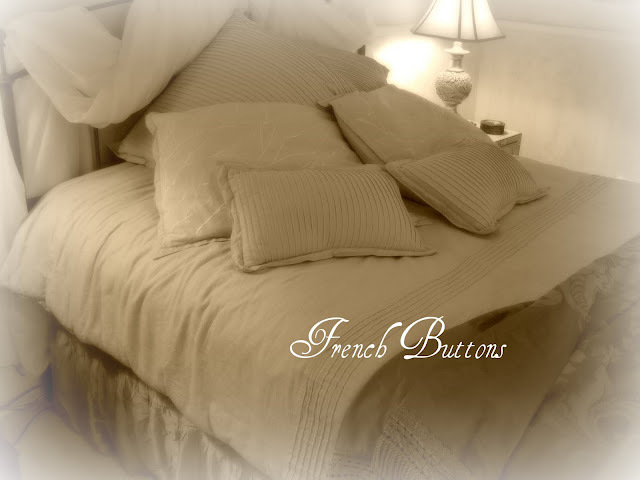 It would be hard to imagine not being inspired in those surroundings:) Lovely write up... thanks so much for letting us know about French Buttons. I'm going to visit her! You are so sweet to share her with everyone. Her home is beautiful and so is the area where she lives! Thanks so much for the introduction, I look forward to popping by her blog to see more! Wow!!! How beautiful is that?!? Oh stars!!! Kim, I saw her red cabinets and thought... oh my, Kim is going to be painting her cabinets soon!!! Ha!